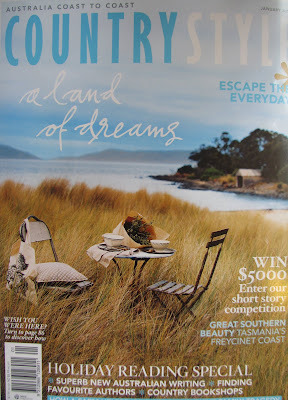 I did a little double take when Mum's copy of January Australian Country Style arrived and I saw the cover. 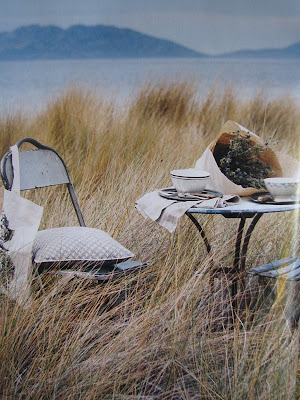 Not only is the Tasmanian scenery beautiful, I spied our French cafe table smack bang in the middle! The setting is magical. 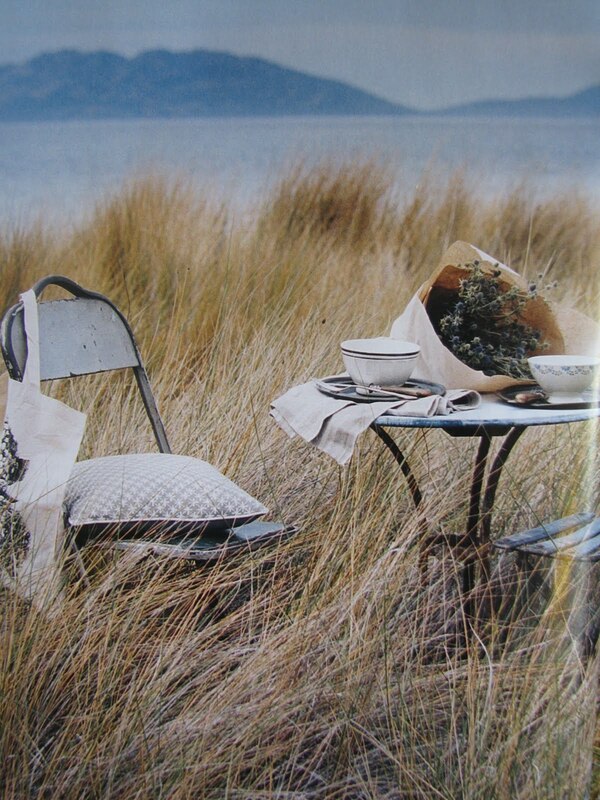 I could easily have a little picnic at this table and chairs on the coast. Some of the other little props are also from our store. I was in the newsagency yesterday and picked up a copy to have a look inside. I must say it is a really good issue this month and the interiors featured for this month are stunning. I am going back to buy it as soon as I can. Congratulations your table was chosen and made the cover of Country Style magazine. You should be proud. You have so many lovely things in store. All your hard work is paying off and its nice to be recognised for this. I love that the Country Style doesn't come wrapped in plastic like some magazines do, as I like to flick through the magazine before I buy....I seem to have a magazine fettish and this is my way of slowing myself down. If it doesn't inspire me, it stays on the shelf!! I hope you enjoy your day today. Thanks for answering me about the hat stands the other day. Will look forward to seeing the hat stands in a future post!! Yes, the January issue is very good. 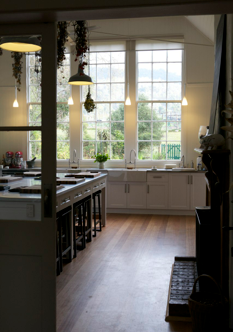 But I must say, I am never disappointed with Country Style. It has moved with the times but it has always stayed true to itself. I was just coming across to tell you the exciting news Tammy. 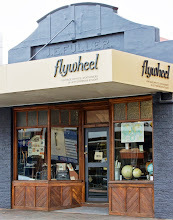 I was so excited when I saw your shop named in Country Style. What an absolute compliment for you. Hopefully at some stage they will do a spread on you, your home and the emporium, that would be fantastic. I'm back again!!! Just wanted to wish you and your family a very Merry Christmas and Happy New Year. I'm so glad I found your blog recently. I can't tell you how much I have enjoyed calling in. Keep up the good work and look forward to calling in in 2011. Congrats Tammy, Country Style have great taste!! Warm Christmas wishes to you, have a truly wonderful day tomorrow.